When RIMS 2018 rolls into San Antonio April 15-18, Argo Group leaders will be sharing their insights on a range of relevant topics with risk managers from around the world. For four days this April, San Antonio will be the epicenter of risk management as RIMS holds its annual exposition and exchange of ideas. Leaders from Argo Group will address some of the latest issues facing the industry – from tactical medical support for SWAT teams to best practices for protecting against data breaches. Data breaches hit major companies on a regular basis, grabbing headlines and exposing businesses and their boards to lawsuits. In his presentation, “When a Cyber Event Hits the Boardroom: Crucial Steps for Directors and Officers,” Richard Edsall, commercial senior vice president of underwriting at Argo Pro, will provide a comprehensive set of steps that corporate directors and officers can take to mitigate data breaches. His recommendations include beefing up the company’s understanding of data security, crafting customer notification plans and procedures, and making sure sufficient coverage for directors and officers insurance and cyber insurance is in place. He also will discuss the importance of training, hiring a chief information security officer and more. Because directors and officers can be held personally liable for failing to exercise duty of care when a data breach occurs, Edsall will discuss how to ensure they are more defensible in case of a cyber event. Learn more on April 17 from 1:50 to 2:10 p.m. at Booth 1377. Today, in an effort to provide fast medical response, an increasing number of law enforcement agencies have attached tactical medical professionals to their SWAT operations – a practice that presents risk exposures of its own. Marinelli sees an opportunity to start a national dialogue on the risk management of adding tactical medical response teams to SWAT operations. He will deliver a presentation at RIMS designed to help public entities develop their plans. “Not every doctor is going to be qualified to go on a tactical police operations mission,” Marinelli said. Who employs the medical professionals on the scene, or are they volunteers? Who is responsible for the tactical medical professionals’ malpractice insurance? Are the medical professionals covered under the city’s workers’ compensation plan or under that of the police or fire departments? Marinelli’s co-presenter will be Richard Smith, president and chief consultant of Con10gency Consulting, LLC. Smith retired in 2017 from the San Antonio Police Department, where his most recent roles included coordinating SAPD’s Tactical Medic Program and serving as a full-time hostage negotiator with the Special Operations Unit. Smith will share real-world stories and scenarios. To learn more, don’t miss “Under Fire: Tactical Medical Support With SWAT Operations” on April 18 from 9:30 to 10:30 a.m. in Room 225CD in the Henry B. Gonzalez Convention Center. Challenges can be difficult, but they offer a silver lining: the opportunity to excel and innovate. Argo Group CEO Mark E. Watson III will share his thoughts on how the reinvention of the insurance industry – in response to technological advances and other challenges – has opened a path for risk managers to lead. Watson’s talk, “The Speed of Today – How Insurance Can Set the Pace in a Technology-Driven World,” will offer high-level reflections as well as actionable tips companies can follow to not only to improve the way they respond to change but also to inspire their teams to rethink their own responses to change. Watson will highlight Argo’s strategies both for keeping pace with and responding productively to the constant change pushing the industry’s transformation. Learning to master the environment, Watson will assert, is a matter of companies observing their business and all that affects it. The key is to then innovate and execute. In other words, companies must think creatively and follow through on their promises. Learn more on April 16 from 3:10 to 3:30 p.m. at the Innovation Hub in the Henry B. Gonzalez Convention Center. Argo’s real-time accident logging and inspection app, Argo Risk Tech, will be on display at the company’s RIMS booth. Instead of waiting to respond to claims when they arise, clients who use the Argo Risk Tech app have instead taken the proactive path. They know that using handheld devices to log inspections and report issues – all in real time – reduces the risk of slip-and-fall accidents and other incidents. And of course, preventing accidents saves money. Rooney Gleason, president of Argo Insurance – U.S. 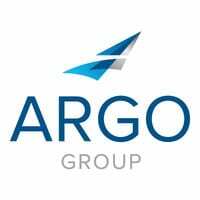 Grocery and Retail, will be at Argo’s Booth 1849 to demonstrate the Argo Risk Tech app features. One feature sure to attract a lot of attention is the first notice of loss function. If a customer were to have an accident on the premises, employees can go to the app on their device, touch “incident report,” and type in the customer’s name, address and contact information. Employees can even use the app to take photos. The first notice of loss functionality also expedites the filing of workers’ compensation paperwork by generating the required state filing form and completing it. Reporting incidents within three business days is key to reducing costs, Gleason noted. Visitors to the booth will be able to check out Argo Risk Tech’s handheld app and online dashboard. To help address risk management needs and other challenges, Trident Public Risk Solutions has spent years closely working with those who protect and serve across the country.